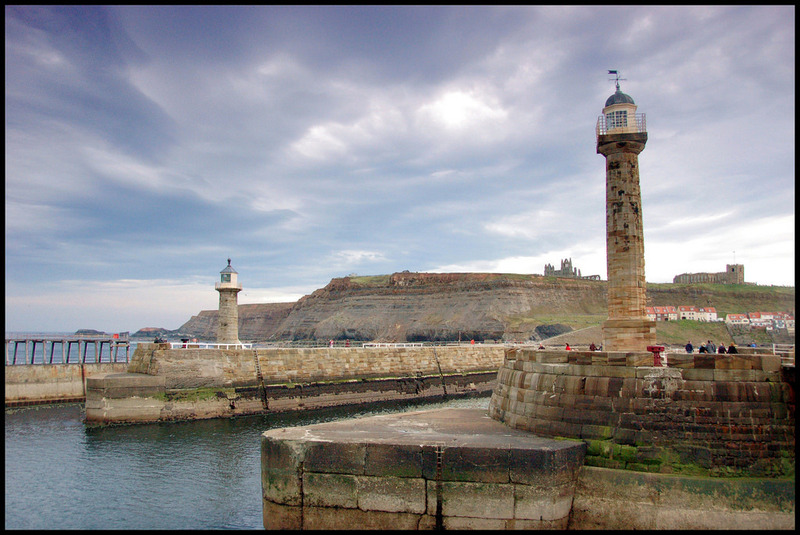 Welcome to Whitby, a perfect British seaside spot boasting a whole lot of fun things to do. 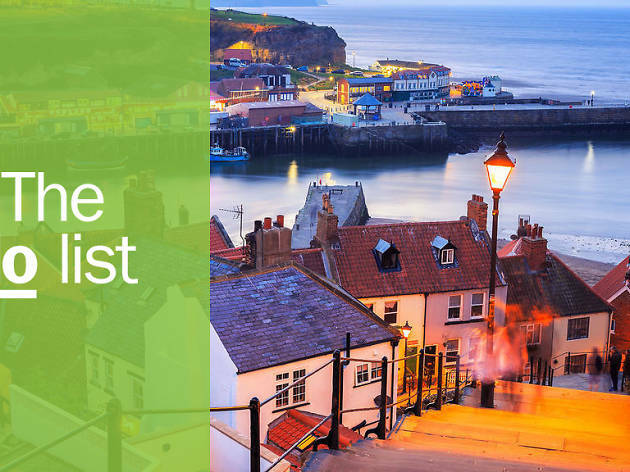 In Whitby, an idyllic former fishing town nestled on the North Yorkshire coast, expect a dramatic coastline, soft stretches of caramel sand, exquisite seafood, a quaint harbour and more quirky charm than you can shake a stick at. From its spooky abbey and cliff-top graveyard to lamp-lit cobbled streets and whale bone monuments, it exudes more Gothic splendour than David Bowie in ‘The Hunger’. 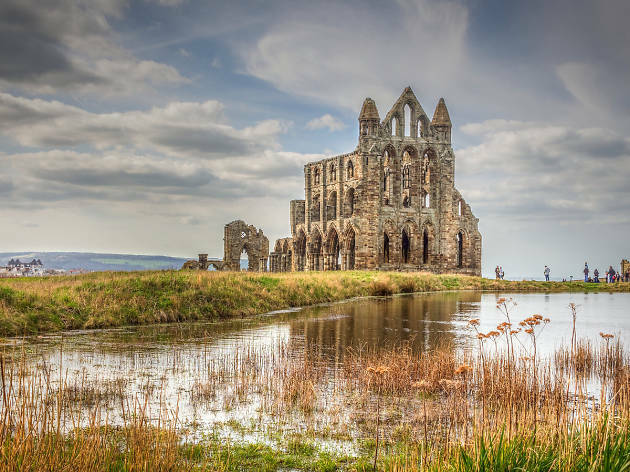 It’s no wonder Bram Stoker set his vampire-filled novel Dracula here, or that groups of black-clad music fans descend on the place twice a year for the Whitby Goth Weekend. 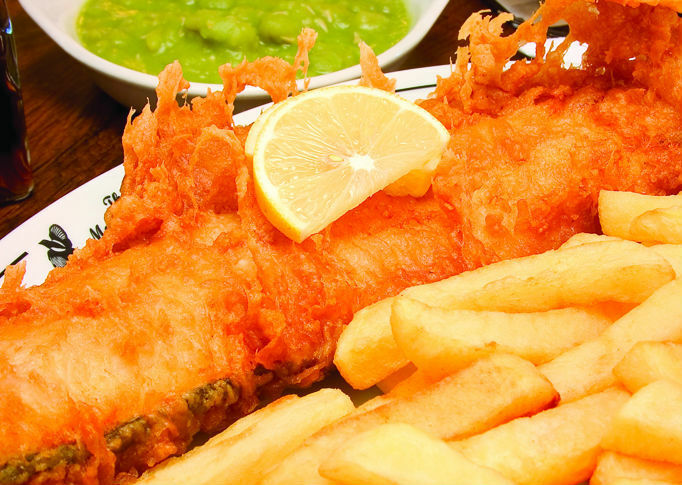 Whether you visit in the summer for a sunny stroll along the beautiful Blue Flag beach, or in winter to shelter in a quirky pub with some steaming fish and chips, there’s plenty to sink your teeth into this town in England. What is it? A gorgeously spectral 13th-century ruin that looms over Whitby from its spot high above the town on the East Cliff. Why go? 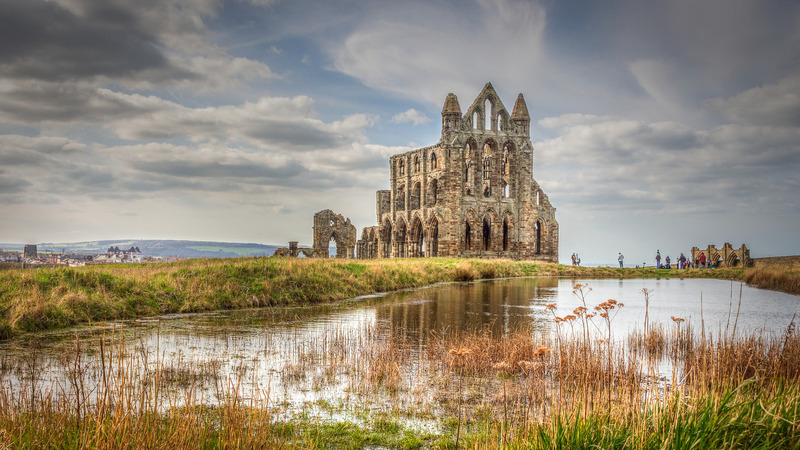 Bram Stoker was so taken by the Gothic pile it inspired him to write ‘Dracula’ and, more recently, it’s previously been named Britain’s Most Romantic Ruin. Visitors can walk among the crumbled church and even touch the old stones. Admire the stunning panoramas across the harbour (most beautiful at sunset) and don’t miss the visitors’ centre housed in a nearby 17th-century mansion to explore the Abbey’s full history. What is it? A handsome harbourside house where the young James Cook lodged as a humble apprentice before becoming the world-famous explorer. Why go? It’s packed with all the information you could ever want on the Yorkshire seafarer, as well as original paintings, maps, letters and ship models. 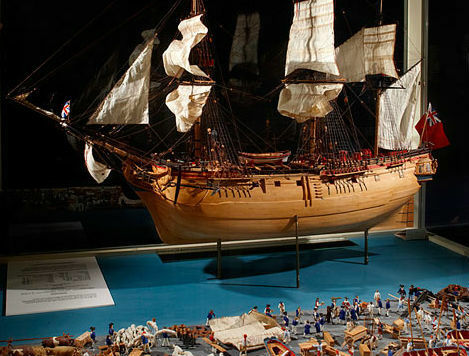 Those not of a nautical persuasion will appreciate the beautifully restored rooms, especially the recreation of a tiny 17th-century kitchen. What is it? Whitby has a stellar reputation when it comes to fish and chips. (It’s a town filled with dripping that’s as thick as the air!) Ask any local where you’ll find the best and they’re sure to say Magpie. What is it? A picturesque stretch of caramel sand unfolding from the West Pier for two miles along the coast to the sweet little fishing village of Sandsend. Why go? 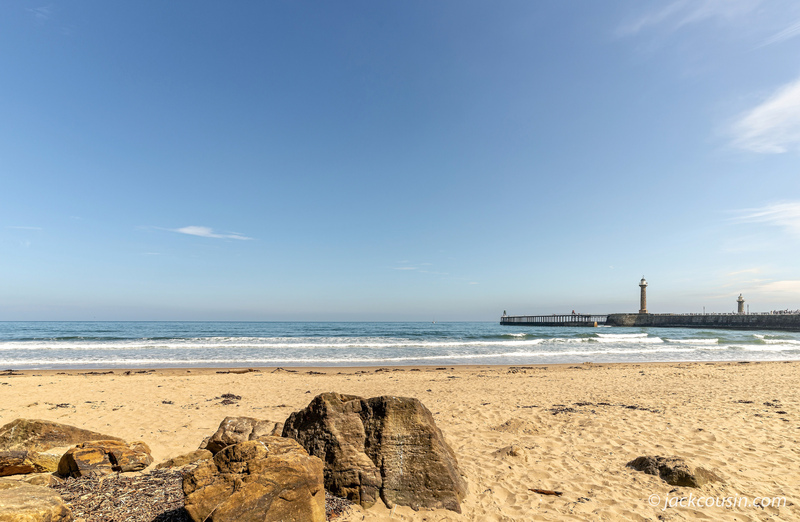 Lined by grass-tufted cliffs and multi-coloured beach huts, it’s the perfect spot for a windswept walk or an ice-cream lunch. There’s plenty of sandcastle potential. Arrive shore-side in style with a trip down the cliff lift. What is it? Jet is a gemstone made from fossilised wood, and Whitby Jet is unique due to the intensity of its blackness. Through a crooked doorway off cobbled Church Street you’ll find this little shop specialising in the stuff. Why go? There’s a handful of lovely jet shops scattered around the town, but here you’ll find the last remaining example of a Victorian Jet Workshop. Ask one of the friendly jewellers to show you around. What is it? 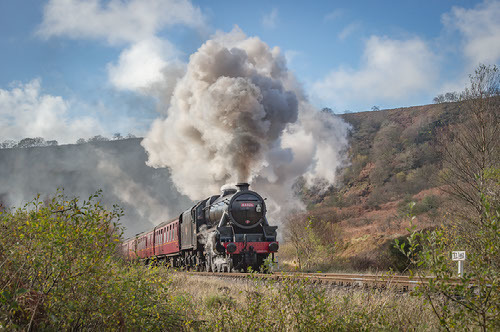 If you fancy venturing further into God’s Own Country book a seat on this heritage steam train. 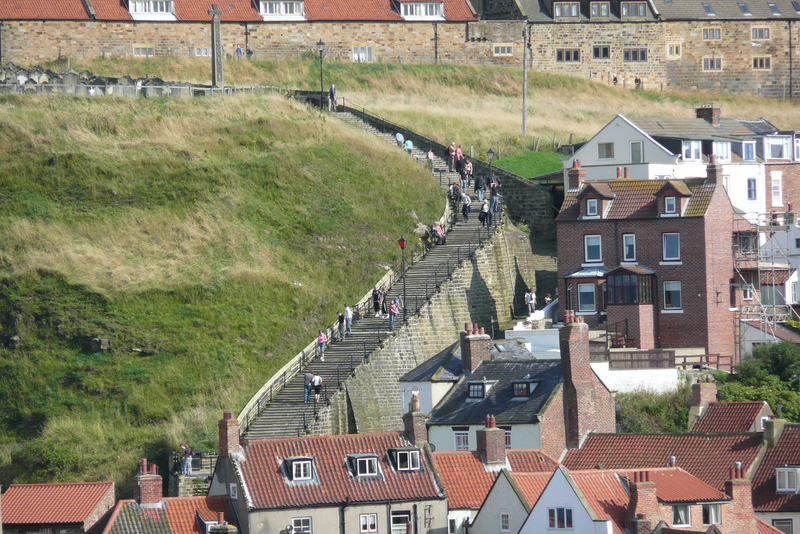 It trundles past the North York Moors National Park from Whitby to the ancient market town of Pickering. Why go? You’ll pass stunning views of the Yorkshire landscape, which are filled with eye-popping patches of purple heather in the summer. 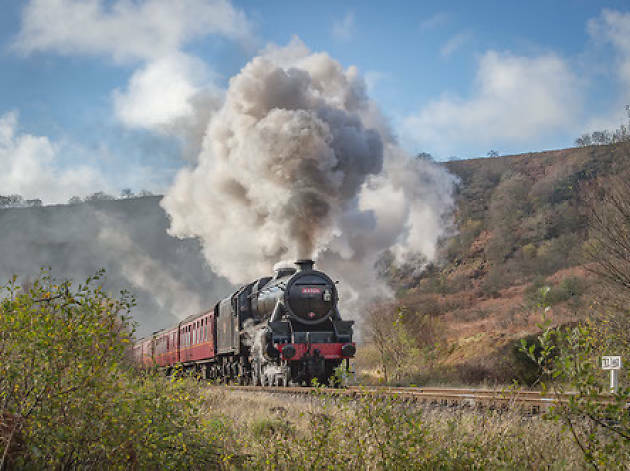 For a special treat, book into their dining carriage to enjoy a slap-up meal while you travel. What is it? If you don’t think you’re a fan of kippers, you will be by the time you’ve left Fortune’s. 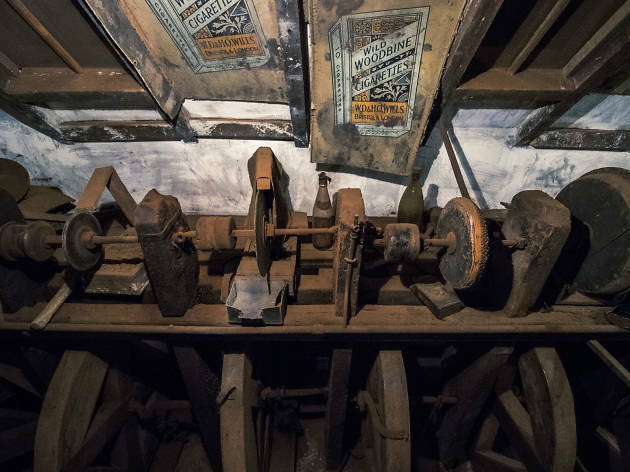 This tiny, ramshackle shop is largely unchanged since it was established in 1872 and you’ll see old photos on the wall of the six generations of family that have worked here. Why go? 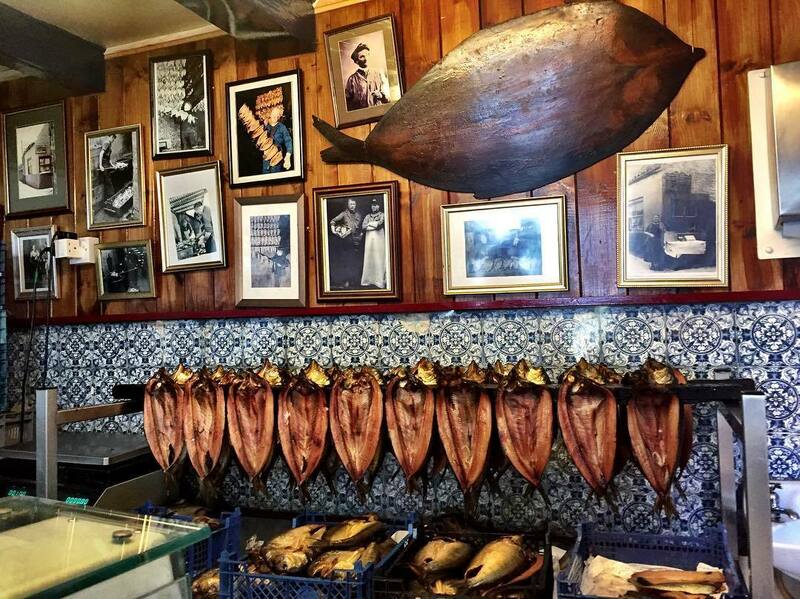 You’ll smell its smokehouse long-before you reach it and its charred black walls filled with lines of hanging fish are a sight to behold. They also smoke bacon, if you really can’t be swayed to kippers. What is it? If you want to know what Whitby looked like back in the day (which isn’t too far off what you’ll see now), head to Pannett Gallery. Watercolours of the town in all its Victorian splendour hang on the walls, alongside two small permanent collections of work by The Staithes group and the Weatherill Family. 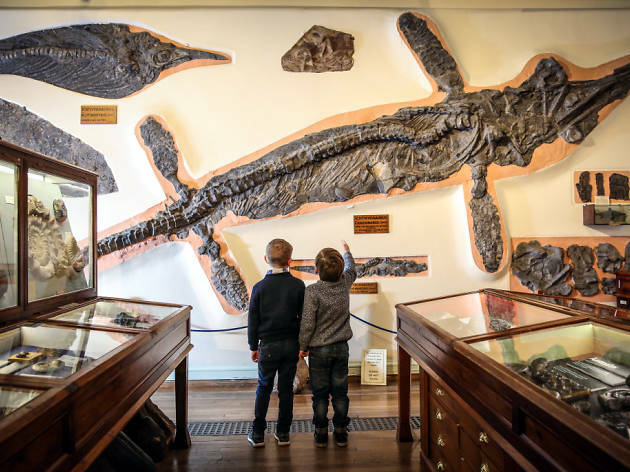 Whitby Museum shares the same building and is packed with collections ranging from jet and fossils to whaling paraphernalia and bird specimens. Why go? 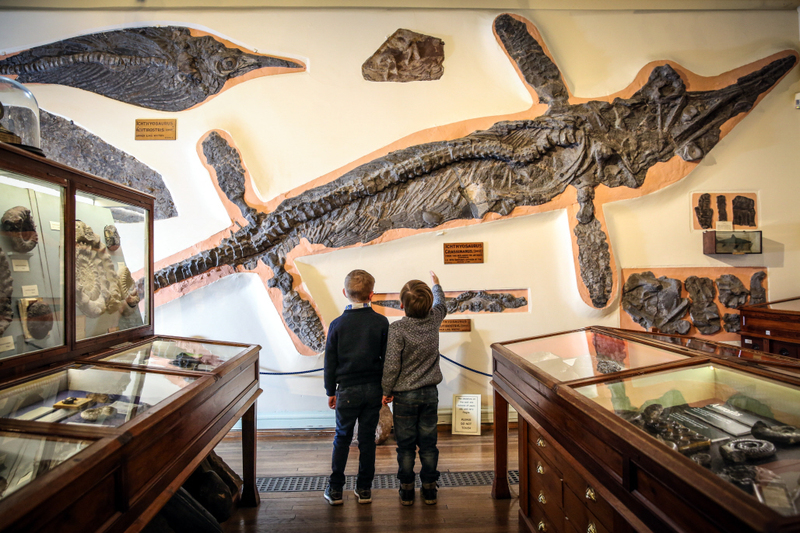 The museum’s fossil collection really is something to see, especially its giant ichthyosaur skeleton. There’s also some delectable cakes to be scoffed in its kitsch little tea room. What is it? Make like Dracula, who ran up this iconic set of stone steps disguised as a black hound in Stoker’s novel, and try to climb the formidable flight yourself. 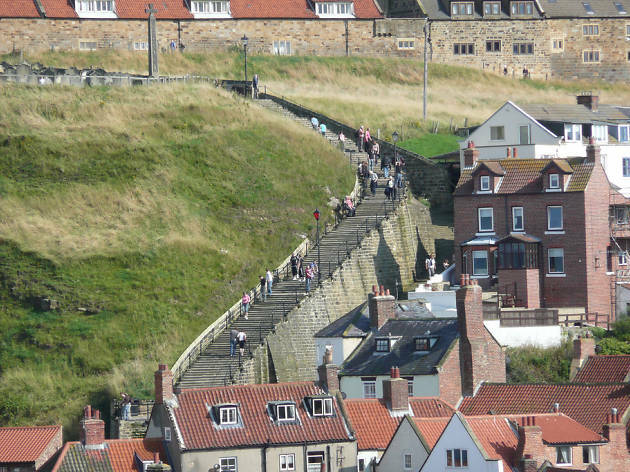 This is one of Whitby’s most picturesque spots and it is tradition to count each step as you climb up from Church Street to the top of East Cliff. Why go? It’s worth breaking a sweat for the stunning views over the town and harbour. You’ll also find the fabulously unique St Mary’s Church at the top with its maze of box pews and splendid pulpit. See if you can spot ‘Humpty Dumpty’s tomb’ in the grave yard. What is it? 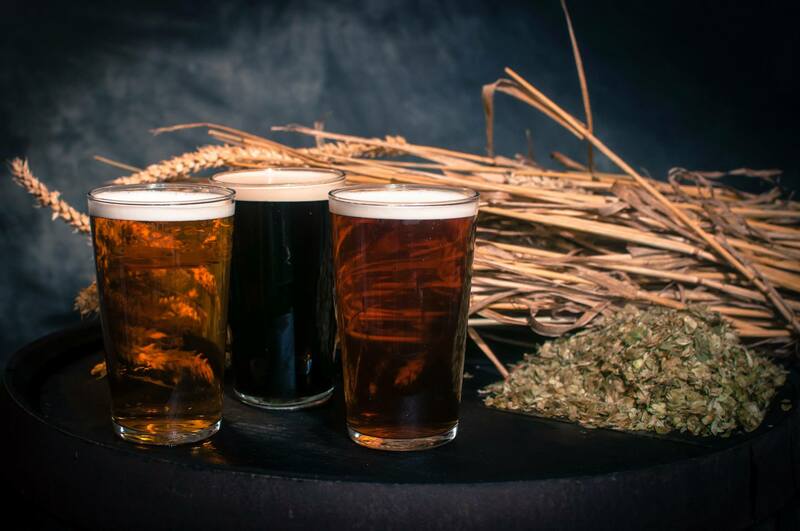 Keep your eyes peeled for this little microbrewery and tap room. 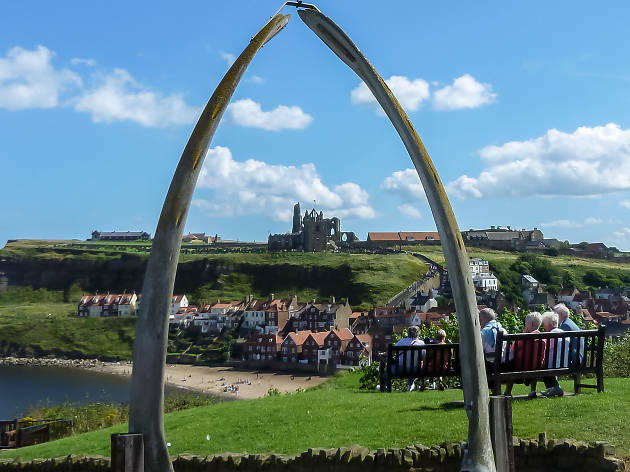 It sits right beneath the towering arches of Whitby Abbey. 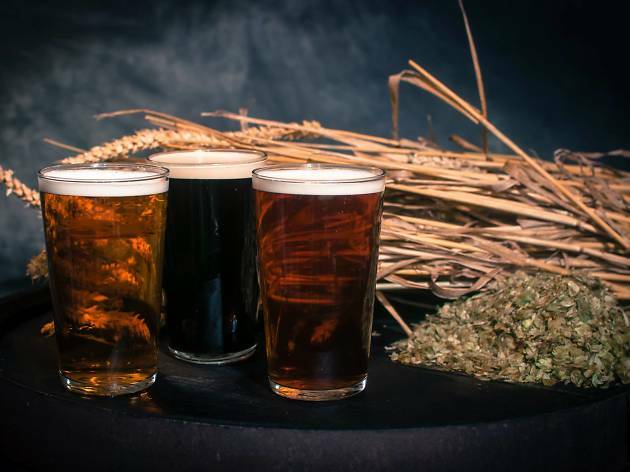 Set in a converted barn, there’s a small bar serving five cask beers and a selection of bottles all produced onsite, with knowledgeable and friendly staff pulling the pints. Why go? It’s the perfect spot to refuel after trekking up the 199 steps. 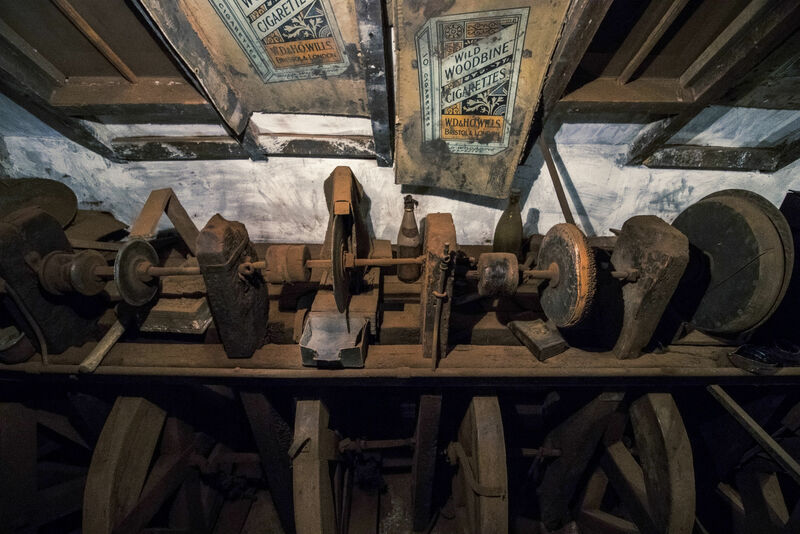 Sit on one of the beer barrel stools and sink a pint of Whitby Whaler right next to one of the tanks it was made in. What is it? 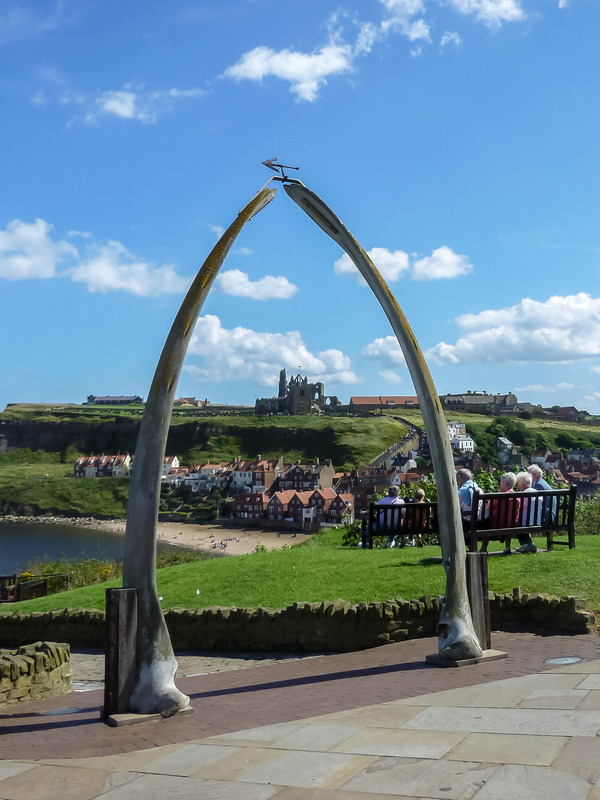 Two hundred years ago Whitby was best known as a thriving hub of the UK whaling industry. This arc, made from two huge whale jaw bones, was first erected 1853. It’s been replaced twice over the years, most recently in 2003 by bones from a Bowhead whale killed legally by Alaskan Inuits. Why go? Nowadays the arch makes for a nice Insta op, with the two huge bones framing a pretty view of the town’s red-roofed cottages and the Abbey ruins. 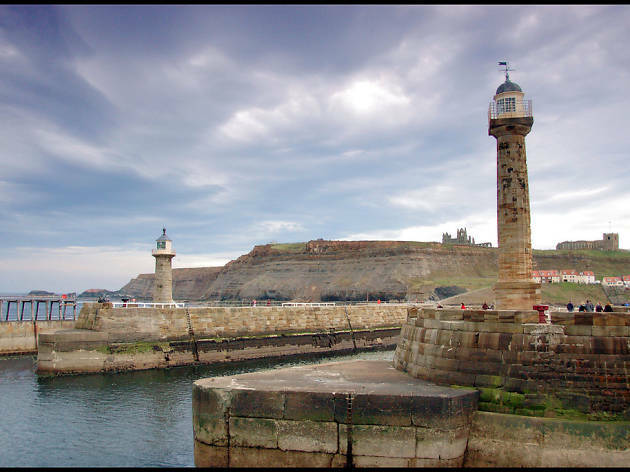 If you fancy trying to spot some real Whales, take a voyage on a Whitby Whale Watching boat tour. What is it? Hidden away in a remote spot in the North York Moors, this magical tea garden is six miles away from Whitby, but well worth seeking out. 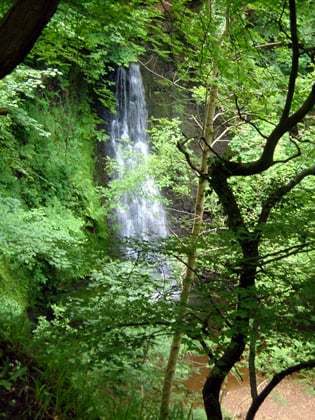 Set in the grounds of a tiny stone cottage in a woodland glade next to Falling Foss waterfall, it’s totally enchanting. Why go? 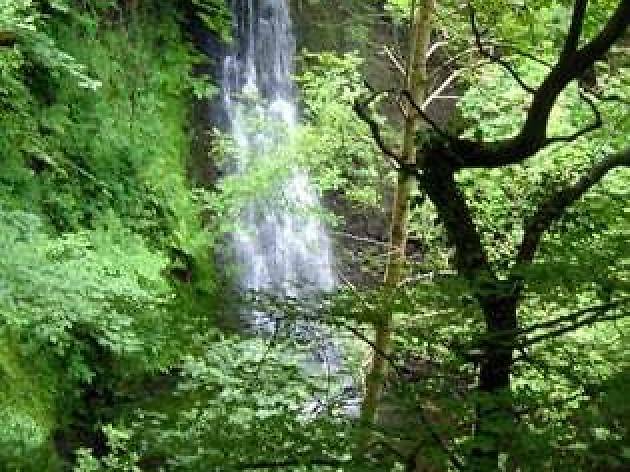 Tuck into a freshly baked cake at one of the wooden picnic tables, paddle in the nearby stream, take a stroll through Sneaton Forest and try to find The Hermitage, a Hermit’s cave carved from stone. This is a snack stop pulled straight from a fairy-tale. What is it? 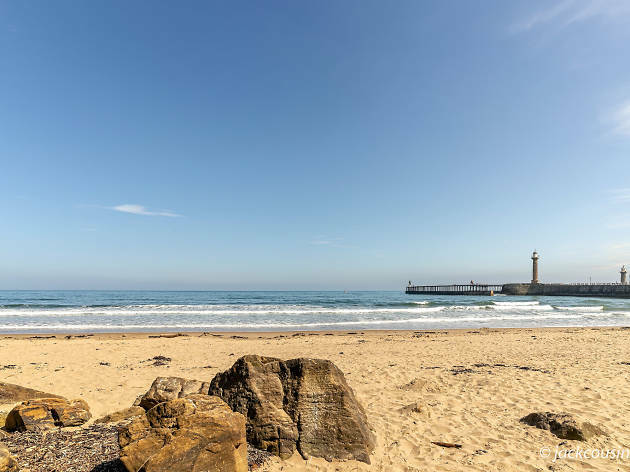 Just when you thought Whitby couldn’t offer any more stairs, there’s another 81 to climb up: the tiny, spiral staircase in this gorgeous lighthouse. It’s one of two at the harbour entrance, but the tower on the West Pier is the taller of the duo. Why go? In the lamp room you can get another great aerial perspective of the town and watch the boats coming in and out of the harbour. Visit when it’s stormy to really see the difference between the churning sea waves and placid harbour waters.